Front offside threequarter view of lorry reg WG9758. Soldiers in tin helmets in rear Pick up and buses behind and Plane flying overhead, believed Perthshire. Home / Rural road / Front offside threequarter view of lorry reg WG9758. 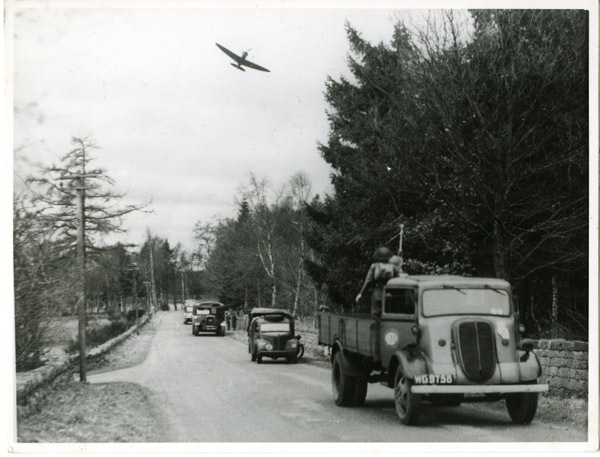 Soldiers in tin helmets in rear Pick up and buses behind and Plane flying overhead, believed Perthshire.